One of my biggest weaknesses is to walk into a Williams-Sonoma store. There is something about walking through the seasonings, cookbooks, tabletop inspiration, and cookware that just makes me want to get into the kitchen and cook (after I have usually shopped more than I really needed too)! 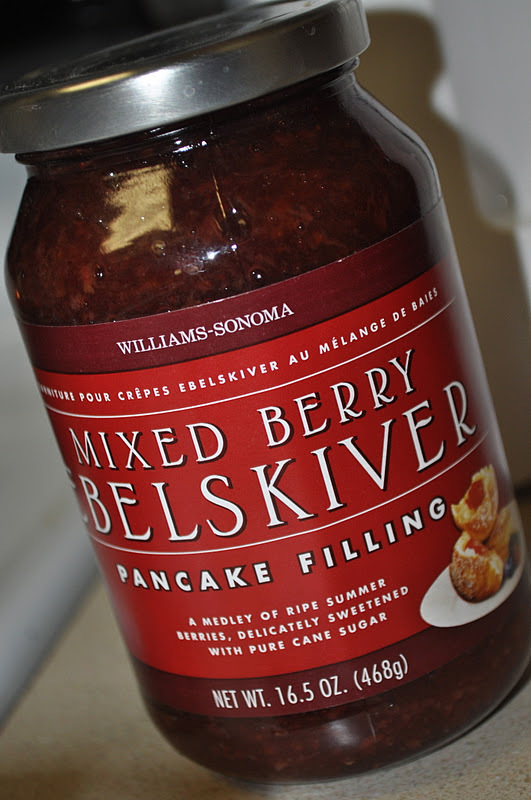 Over the last few months I have discovered something about Williams-Sonoma that I am not so sure I can handle …. my husband and son love shopping there as much as I do! 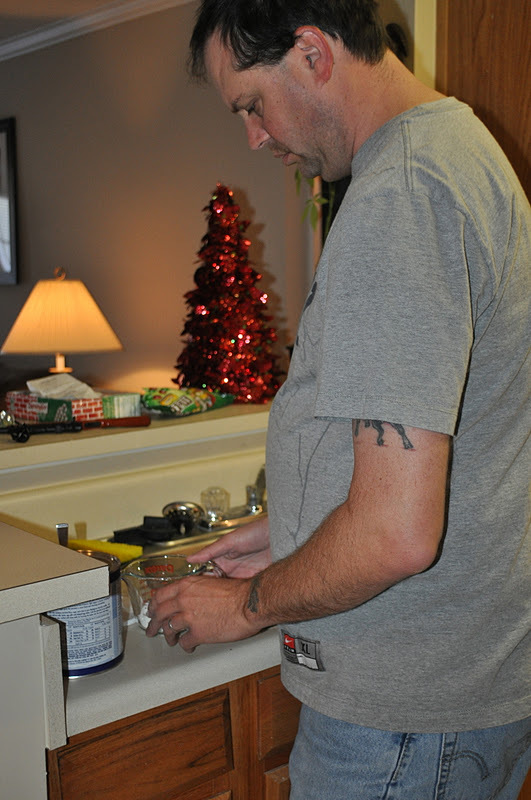 Truth be told, I am excited that my love for cooking is influencing others in the family. Audley and I have always enjoyed a passion for cooking together over the years, but passing down that passion is such a wonderful feeling. Kids leaving home for the first time seriously don’t have a clue how to use a stove, much less prepare a meal. With all of the new restaurants popping up, it is obvious staying in to cook is becoming a thing of the past! Since Audley is already living in South Carolina for work, he is spending a little more time in his own kitchen trying to break the monotony of “bachelor cooking.” The kids and I went up last weekend on a house hunting trip, so he decided to try out his latest Williams-Sonoma purchase by cooking breakfast for us Saturday morning. 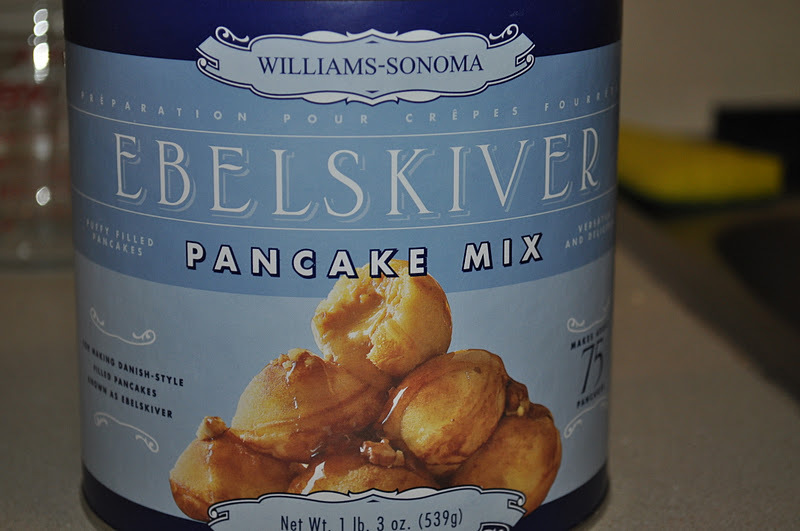 This little pan is quite useful for making a delightful breakfast treat called an Ebelskiver, a delightful Danish pancake. 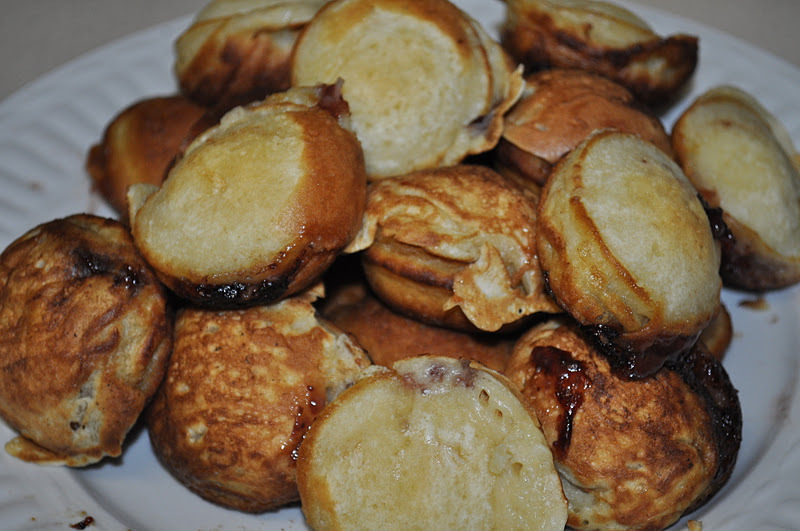 In the US I think they are more commonly referred to as pancake puffs. 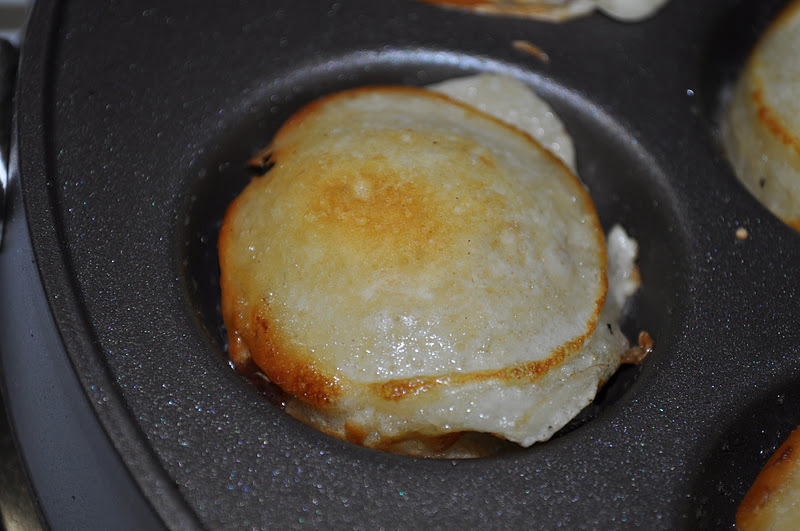 Since this was sort of a new adventure for Audley, he bought the mix to make our pancakes, but also found a from scratch recipe to try as well. 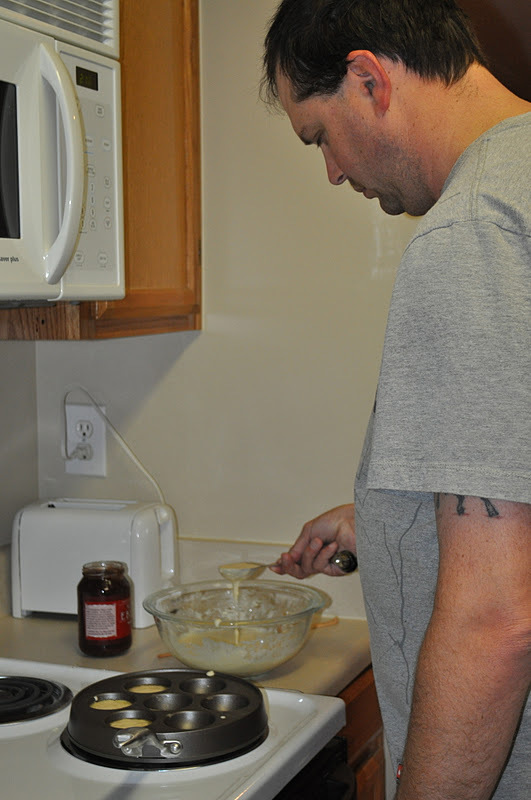 He added an additional delight to our pancakes with a triple-berry (raspberry, strawberry, and blackberry) filling. 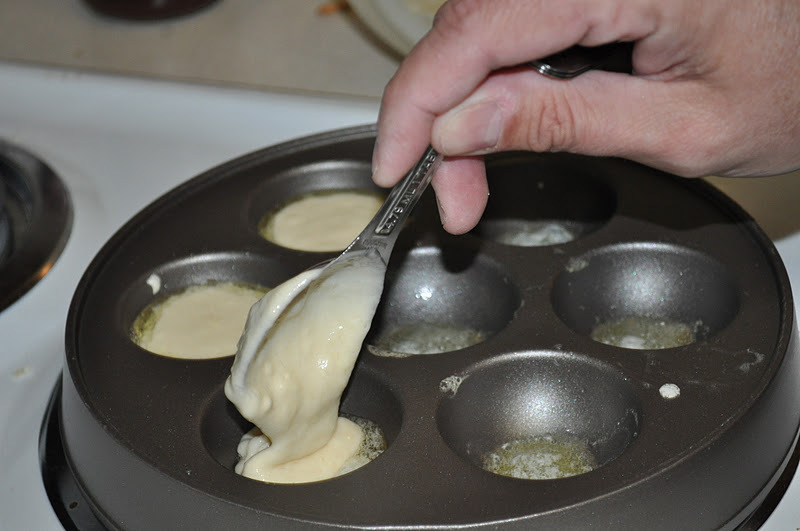 Audley made quite the mess in the kitchen, but from whisking eggs (without a mixer) to serving up a delicious platter of ebelskivers he did a great job on our breakfast! Beat egg yolks. Add sugar, salt and buttermilk. Then add soda and baking powder. 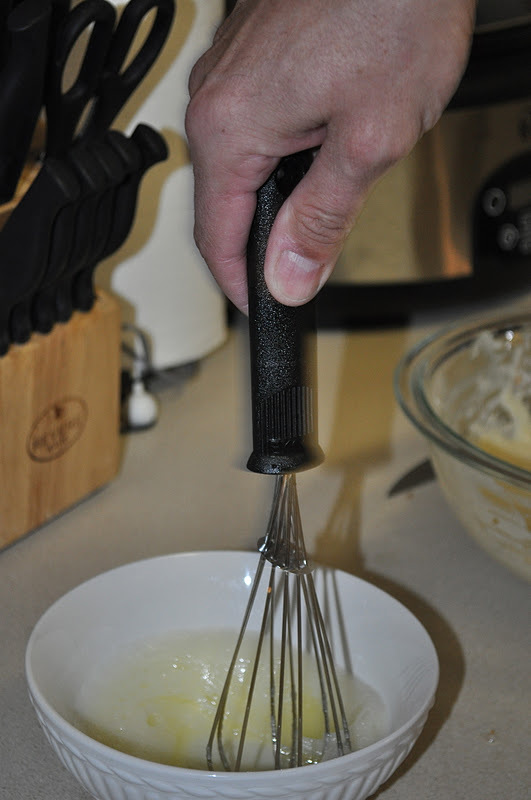 Fold in beaten egg whites. 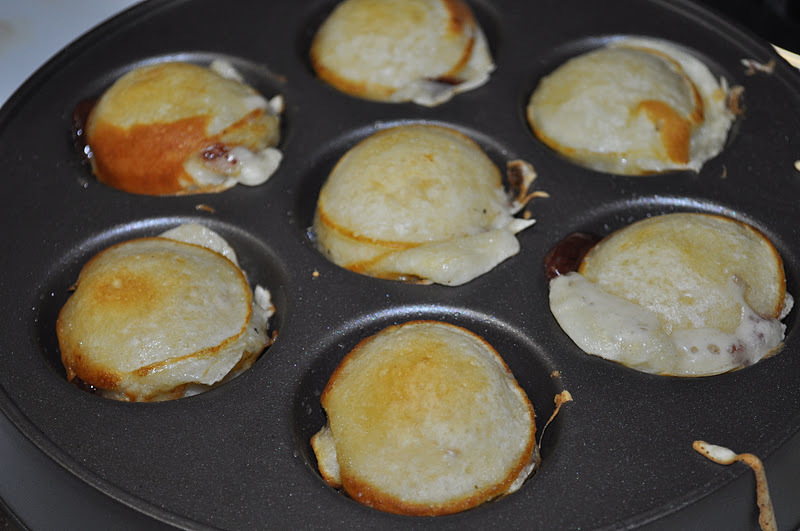 Grease Ebelskiver iron and fill cups half full (1/2 teaspoon or so of applesauce can be put on top and then that needs to be covered with a little more batter). Cook and turn. 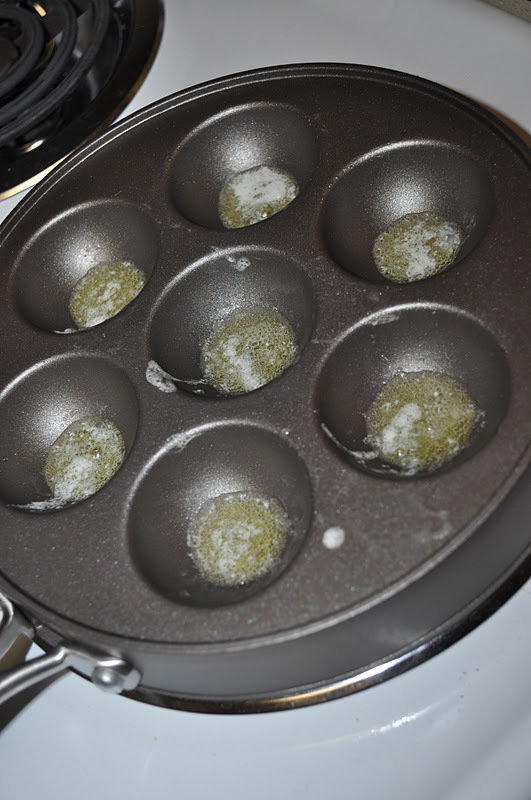 Serve warm with butter, jelly, syrup, powdered sugar or any other toppings you might like. So, do you have a weakness when it comes to the kitchen? Oh I'm glad that I don't have this kind of a store too close… I do enjoy shopping in stores with cooking utensils, pots and pans…the closest I get to that kind of a store is usually Bed, Bath, and Beyond. Guess the kitchen is the beyond. Now purchasing dishes or wooden spoons at flea markets floats my boat. As for cooking? I am not a natural cook. Wish that I were, but I'd like to hire a cook. YUM! 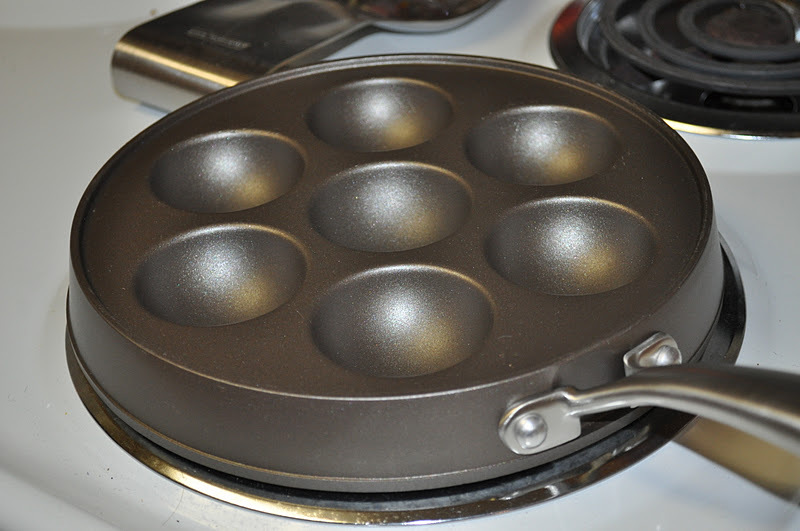 A friend of mine gave me a pan like this and I have had no clue how to use it! Now I do….thanks.